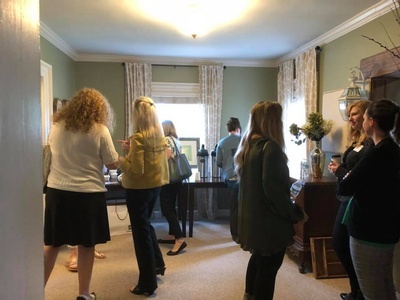 This event is free thanks to the support of our sponsor We Are Changing Lives. 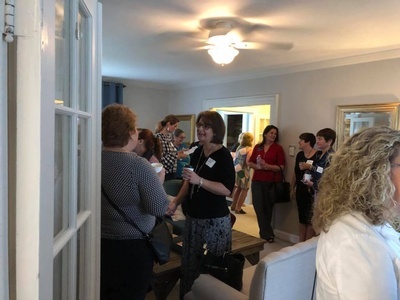 Are you looking to make new connections? 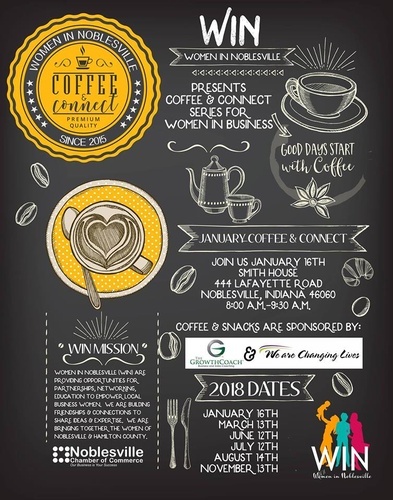 Stop by November 13 at Smith House for Women in Noblesville's Coffee & Connect for a cup of java and a bagel. Stay for a few minutes or the entire morning. 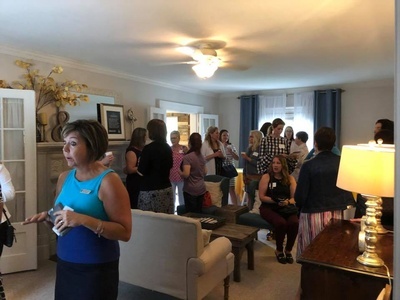 This casual and warm setting is perfect for networking, a quick breakfast, and connecting with women in business in Noblesville and Hamilton County. 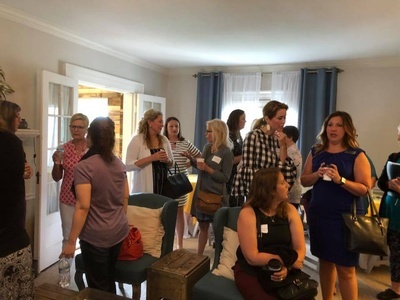 The Noblesville Chamber of Commerce's Women in Noblesville (WIN) strives to support women in business in the Noblesville community.